The monkeys in the park today weren’t mine. 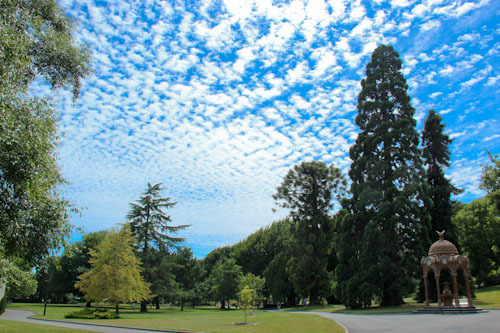 For over thirty years, Launceston’s City Park has been home to a troop of close to 30 Japanese macaques — snow monkeys. Visiting the monkeys in the park makes me feel like we’ve entered a time warp that has taken us back to colonial times, like the society illustrated in one of our favourite children’s books. 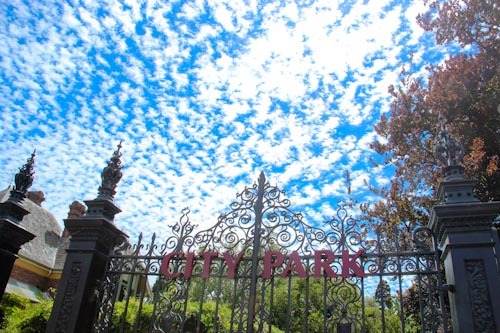 It's a beautiful sunny day when we enter City Park. 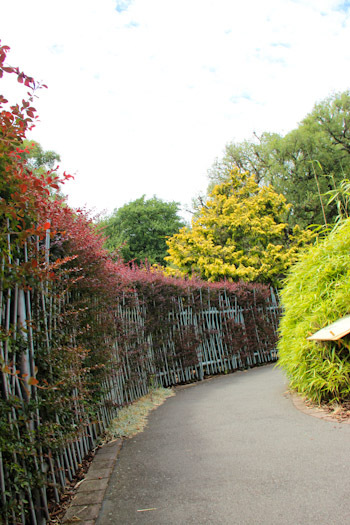 The enclosure is surrounded by colourful shrubs and blends into the park's landscape beautifully. 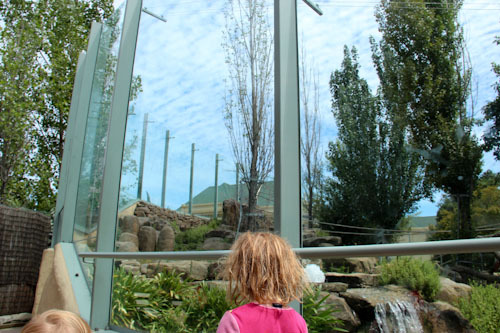 The monkey enclosure is a large, natural display surrounded by high glass walls. 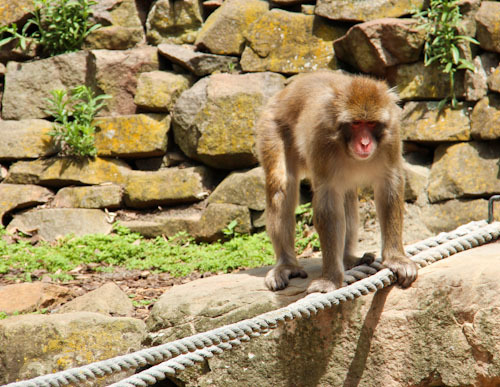 The monkeys were originally a gift from the people of Ikeda, — Launceston's sister city in Japan. 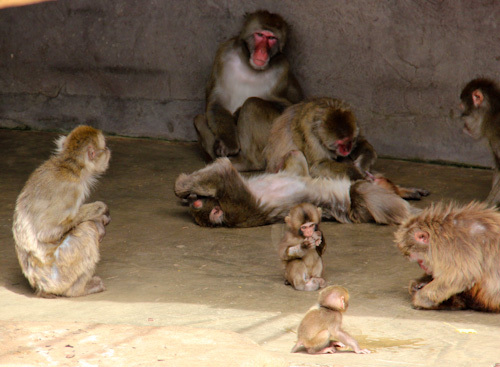 Some of the macaques pair up to groom each other, quickly eating any lice found in the body hair. 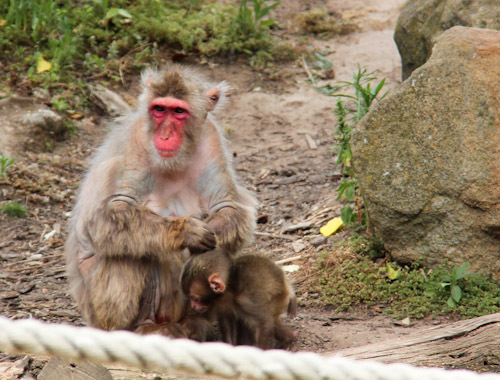 These monkeys give birth in the early summer months, so we see three cute little babies with their mamas. 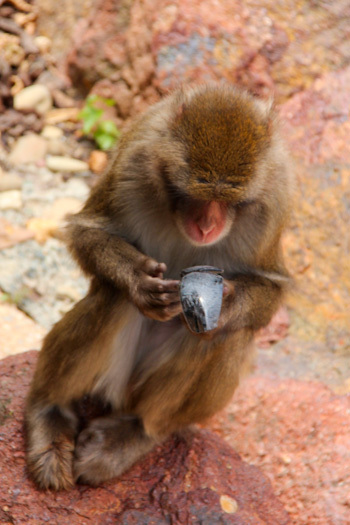 This monkey is playing with some broken sunglasses that likely fell off someone's head as they looked into the enclosure. Those monkeys who want to retreat from the warm sun hang out in a cool cave-like recess, still visible to the watching public. 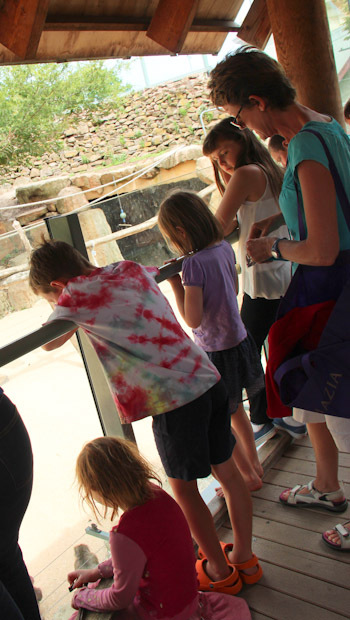 Our friends Teena and Josh join us at the enclosure for a day in Launceston. After watching the monkeys for about half an hour, we explored other features of the park. The girls were happy to be with Josh again, and Teena and I followed the children around as they explored the landscape. A bubble-wrap sky sits above us as we enjoy the warm day. I think this building is a mausoleum or memorial of sorts before I read the signage labelling it a conservatory. 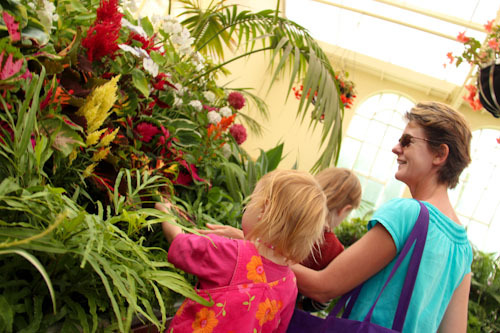 Inside, a magnificent collection of flowers are on display year-round. 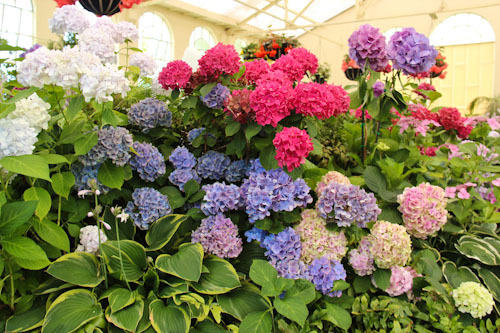 The colours of these hydrangeas are manipulated by changing the acidity levels of their soil. Delaney thinks the bright coleus leaf looks like fire. 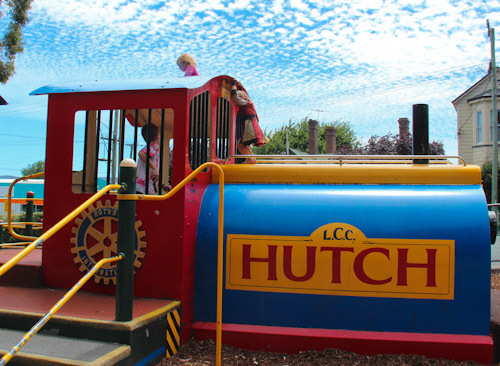 We reach the playground on the far side of the park, where the kids play on an old engine. Josh is disappointed that he can't explore its inner-workings. 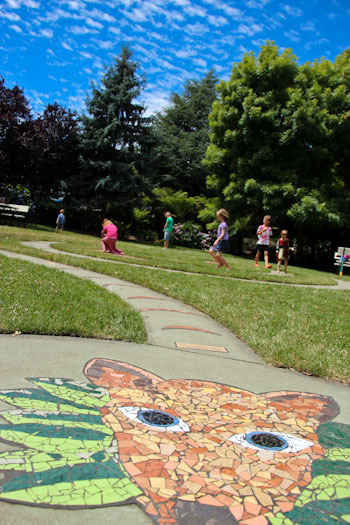 A large spiral decorated with mosaic links the Tasmanian tiger motif with a Chinese tiger design — a memorial to Launceston's relationship with their Chinese sister city Taiyuan. 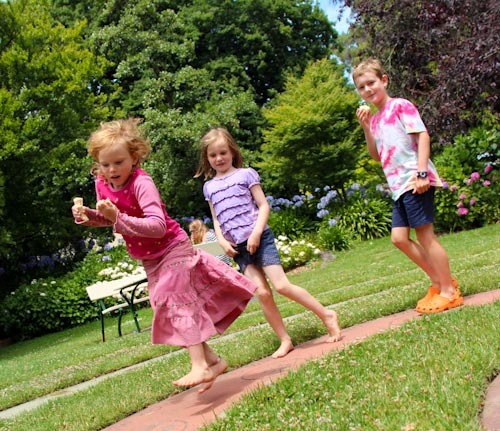 The kids follow the footprints around the spirals in an elaborate game that also involves not talking. 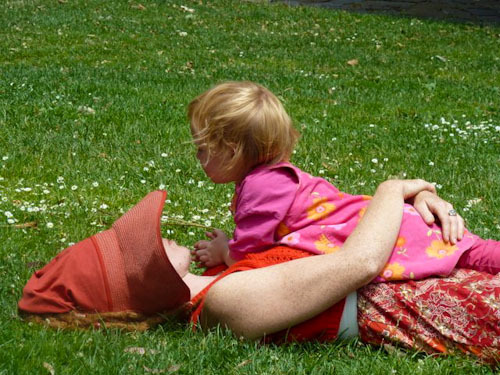 Dell and I cuddle for a while in the warmth of the sun. After a picnic lunch, Teena and I decide to take our kids to the library. The facility was great, but as a visitor I had no idea where to park without paying for the privilege. The parking meters on the street only offered one-hour parking, which isn’t enough for a decent visit to the library! 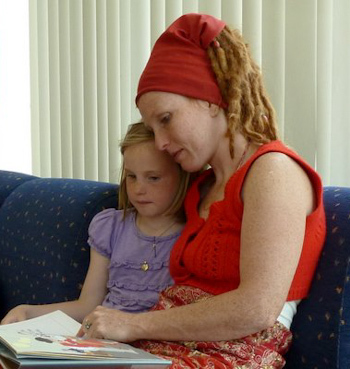 Very soon, Brioni cuddles up to hear Teena read a story. I love how Cali and Dell pair up so naturally! Aisha asks me to read the classic story of sleeping beauty from a book of fairy-tales. Later, Delaney brings a book to me that has caught her eye. 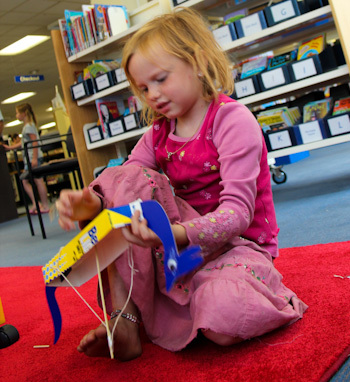 In one corner of the library, children are working on craft projects. Brioni collects the materials together to make a viking longboat. The secret to growing an audience is to make the book sound as exciting as any action movie the kdis have seen. They can't resist! This photo is a rarity — me with all four of my girls. 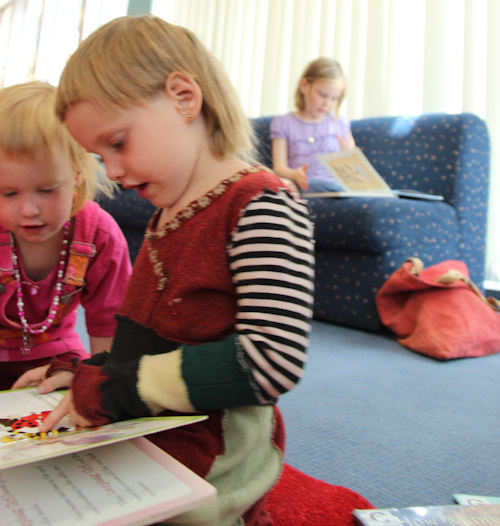 We love books and stories and libraries are so much fun for us! 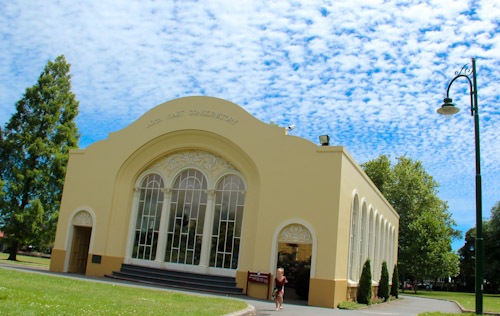 This prolonged stay in Launceston has given us the opportunity to explore more its attractions, and City Park and the library are both great places to take children. It’s a bonus that we got to do this with friends, too, and we’re thankful for the opportunity to spend more time with them. LOVE the photos of you with your girls! How precious! Oh I must have skipped this post! Glad I found it. 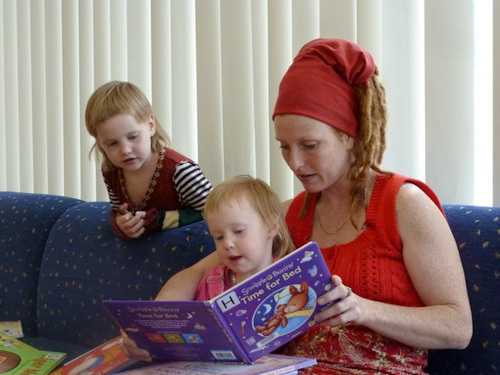 I love the progression of photos documenting your reading to a captivated and increasing audience. 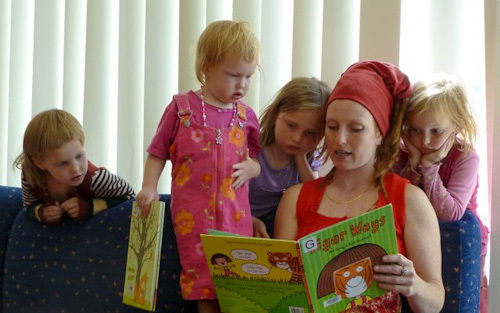 There’s something so beautiful about reading a story aloud. 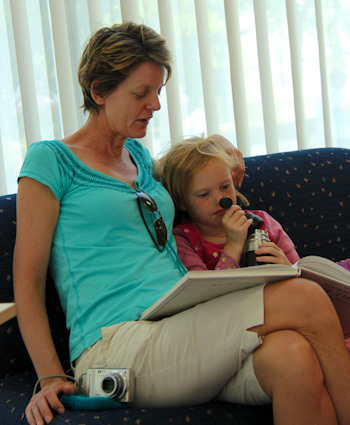 A little while back my mum was reading a story to her youngest grandchild (6). Her tone and cadence of her words also drew my two older girls (aged 25 & 22) to sit and listen too, revelling in childhood memories of having stories read to them. I miss bedtime stories! I love that picture of you all so focused on the book. 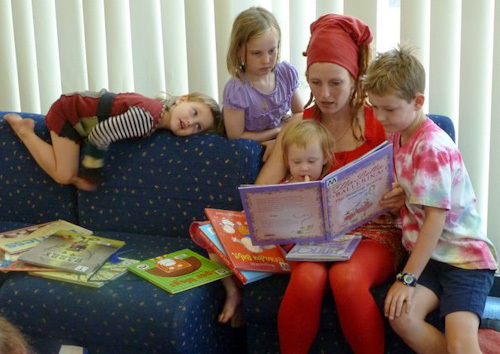 I’ve never enjoyed reading out loud to my children and I have no idea why! I am very playful and silly with them, maybe it’s too much energy to settle down and read a book. But thankfully, they’ve all be strong readers since the ages of around 3 years. Reading is a very important part of our lives, I honestly read 3 or more books a week. With all of the traveling you do, you should consider having your older girls who know how to read/write keep travel journals. Just a simple notebook writing about what they did that day and then taping or gluing on any tidbits they find to illustrate (a receipt, ticket stub, wrapper) and drawings. 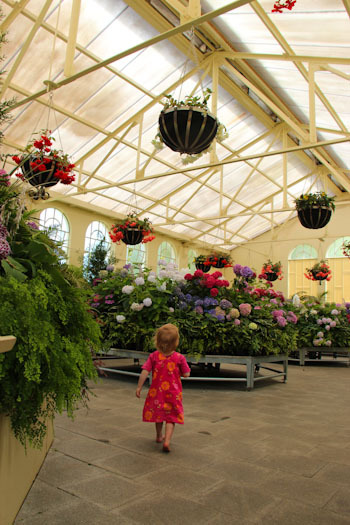 Those are the most precious of all of my treasures as my kids grow up – and they love looking at them too!